Hall of the Mountain King: Still Spinning: Metallica, "Metallica"
OK, I guess it’s about time I delivered a mea culpa on this record after all of my years of badmouthing it. It’s actually not a bad album. There, I said it, as foul as those words taste in my mouth. I’m joking, of course, but not entirely. When Metallica’s self-titled album came out, it was a shift in my musical landscape. When I picked it up, on release day naturally, I initially liked it, though not as much as past works. The simplicity of the songs was a bit of a turn-off, but there were some pretty catchy tunes there. It didn’t take long for my opinion to change drastically. All of a sudden all of the people around me — many of whom had made fun of me for years for liking heavy metal, Metallica, in particular — were driving around with their windows down blasting this album. It was more than the angst-filled teenage version of me could take. I’ve always been that way, though, and still am. It’s happened with books, with music, even with my favorite football team a few years ago. Every time I hear a friend talk about some surprising twist on HBO’s “Game of Thrones,” I want to scream, “you’d have known about that 10 years ago if you’d read the books.” I spent 2009 resisting the urge to strangle people who had ridiculed me for being a New Orleans Saints fan for years when they were parading around in their jerseys, waving their flags and calling them “our boys,” like they’d always been behind them. I can’t help it. It’s just who I am. 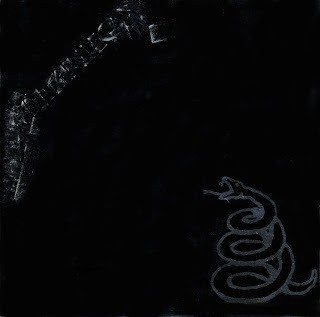 So once “The Black Album” hit the public at-large and was coming at me from everywhere I turned, I shut it off. I put the record up, swore it off and laughed at people who told me they really liked Metallica’s first record, you know that all-black one. Over the years, a few things happened, though. For one, that private band of mine, Metallica, somehow became a classic-rock staple. And not just “Enter Sandman” and “The Unforgiven,” but even “the good stuff.” It became not unusual to hear “Master of Puppets,” “For Whom the Bell Tolls,” “Seek and Destroy” or even occasionally some of the more obscure songs on the radio — things that long-haired kid in the 1980s never thought possible. It’s hard to maintain that private fraternity attitude when that happens. Second, a couple of albums by Metallica that I actually liked in St. Anger (yes, I do like it, and I can defend that, but that’s another article) and Death Magnetic, softened my view on the self-titled album a bit. I went back and actually listened to it, and had to admit that despite the shift in style, it was a pretty good record. Right off the top, I’ll say that I still think “Sandman” is crap. Whether it’s the song itself or simple overexposure, I don’t know, but to this day I don’t listen to it and mark that spot near the end of a Metallica show as a good five minutes to hit the restroom before the encore. But beyond that, there are some songs that I’ve come to love again. It’s funny that the simplicity of the album is one of the things that I initially didn’t like since one of the simplest tracks on it is one of the best. The main riff of “Sad But True” is basically an E-chord (actually a D, I guess, since the guitars are in standard D tuning) played over and over. But it’s one hell of a single-chord riff. The song just stomps, and every time I hear it I have trouble figuring out why I at one time didn’t like it. Oh yeah, those folks. Though most of the high-speed thrash has been stripped away, there’s a little to be found on tracks like “Holier Than Thou,” the bouncing “Don’t Tread on Me” and “Through the Never,” which might qualify as the only actual thrash song on the album. “Of Wolf and Man” has always been a favorite of mine. Even when I hated the record, I still liked that piece. As intended, it appeals to something primal in me as a hunter and also as a fantasy-horror buff with some of the slightly werewolf-ish imagery. It’s one of those songs that just connects with me in a deeper way. There’s that sitar and then big guitar riff of “Wherever I May Roam,” which though it still pains me a little to admit, might be as good a song as Metallica has ever written. There’s “The God that Failed,” a rare starring role for bassist Jason Newsted. In fact, there are only a couple of weak links to be found. Now, we come to what might be the most surprising revelation for people who know me. One of my favorite songs on this album is probably the most unlikely. 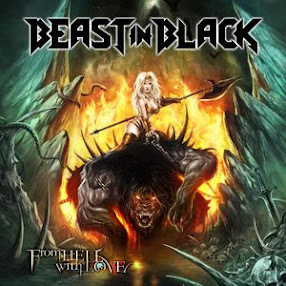 It’s the first full-on ballad by Metallica, and certainly the first love song by the band. I’m serious as a heart attack. I had the song played at my wedding. I love the classical tinged acoustic opening, love the imagery, love the power of the heavy parts. I just think it’s a great song. Who would’ve guessed it? So there you have it. It took me 22 years to come clean and say it openly, but I actually like this record, despite its commercial appeal, despite the 10 million or however many now copies sold, despite the ballad. 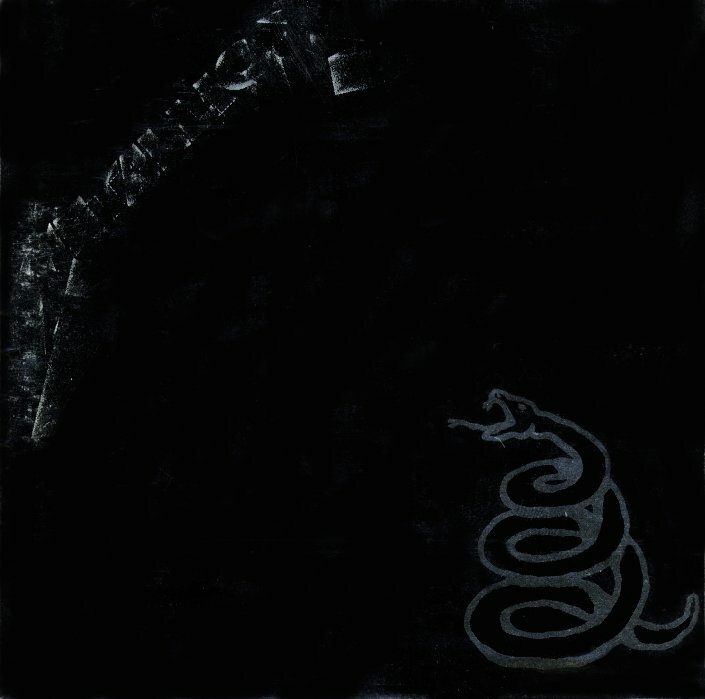 I still don’t think it’s on par with those first four records, but I’ve finally come to the realization that unlike the god-awful Load and Re-Load, which we don’t want to talk about, Metallica was actually a pretty good album that got a bad rap in my mind because of the things that came along with it. That’s probably not any startling revelation to most folks, but it took me long enough.